Our desire is to provide tools to help married couples (and those in the home stretch of engagement) while creating a safe place to share about the coupleship. For our purpose, it is the relationship between married folks and those nearly married (engaged with a marriage date in the next 6 months). We’re not married or engaged but we have a serious relationship. why can’t we attend? 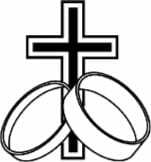 We believe that marriage was designed by God and the most serious commitments are by those who are married or entering into marriage. Additionally, the resources we provide and discuss are unique to the life-long marriage relationship and these resources don’t necessarily apply to dating couples. What if I want to come and my spouse is not able or willing? Yes, you are welcome! We only ask you to focus your sharing on yourself and not talk about your spouse when they cannot share their perspective.